When buying chess sets for schools and clubs price is of course a consideration. When you need to buy twenty of more sets the cost becomes an important factor. 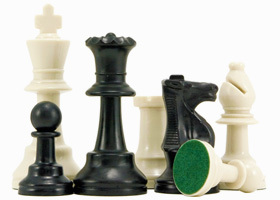 We stock a vast amount of tournament grade plastic chess sets at unbeatable prices. 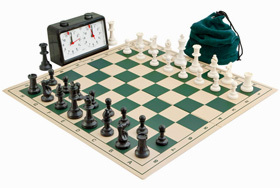 These sets feature tough ABS plastic pieces and either roll up or folding plastic chess boards. Our range of tournament chess equipment all meets the official requirements of the worlds governing chess federations and comes from the world's largest producers of plastic chess sets. Thanks to our bulk purchasing power we offer these sets at great prices. We also supply them in bulk discount quantities that are readily available to order online.